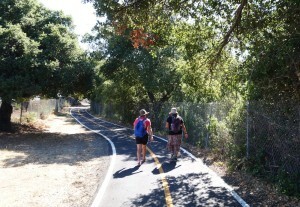 Two full days of walking brought us to Mission San Rafael, then over the hills to the waterfront at Sausalito. We came upon Mission San Rafael at dusk last night, Caroline and Kagen both expressed being surprised by the sense of dread they felt upon first sight of the bell tower. Exploring the Mission grounds, we got out flashlights in order to read the offensive and racist historic plaques. We learned that the burial ground here is actually covered over by two driveways, a parking lot and a building. There is no sign, no marker, nothing to indicate that there are hundreds of indigenous ancestors buried beneath the asphalt. 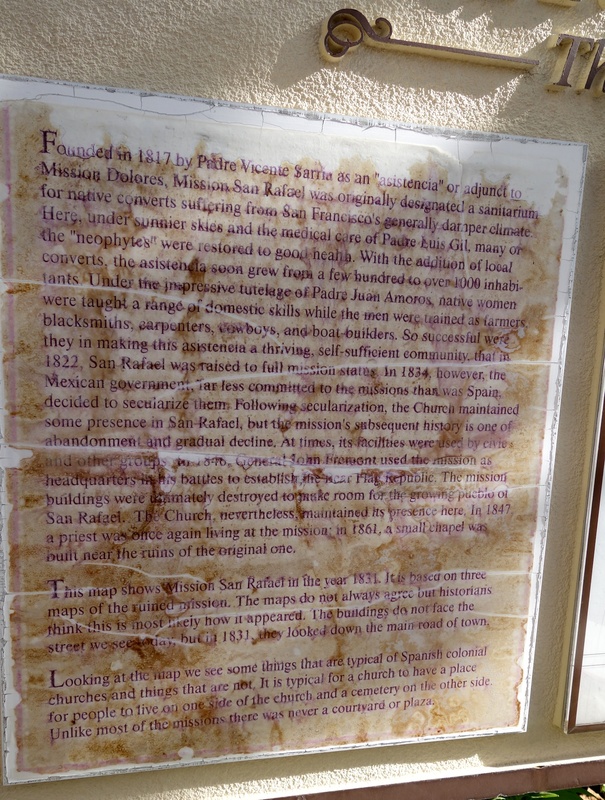 San Rafael was built in 1817 as a sort of hospital built to handle the large amount of gravely ill Indian people at Mission Dolores (the Mission’s website terms it a “sanitarium for sick natives”), but it also served as a northern extension of the Missionaries’ conquering frontier. Records kept by the Fathers indicate at least 800 were buried here between 1817 and 1839. We stood together for a minute of silence, in the middle of the driveway where the burial ground has literally been covered up. 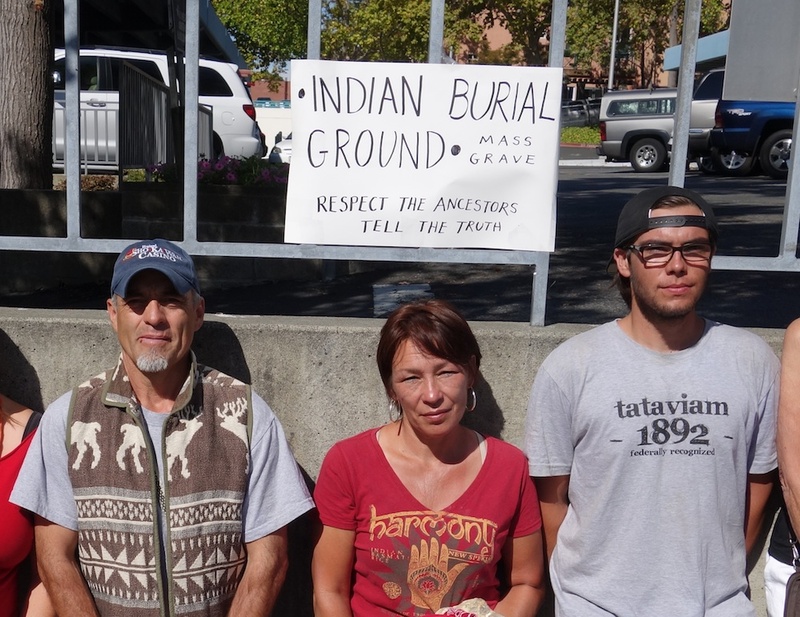 We also put up a temporary sign on the fence by the driveway: “Indian Burial Ground: Respect the Ancestors. Tell the truth.” A second sign was written in Spanish, with the same message. 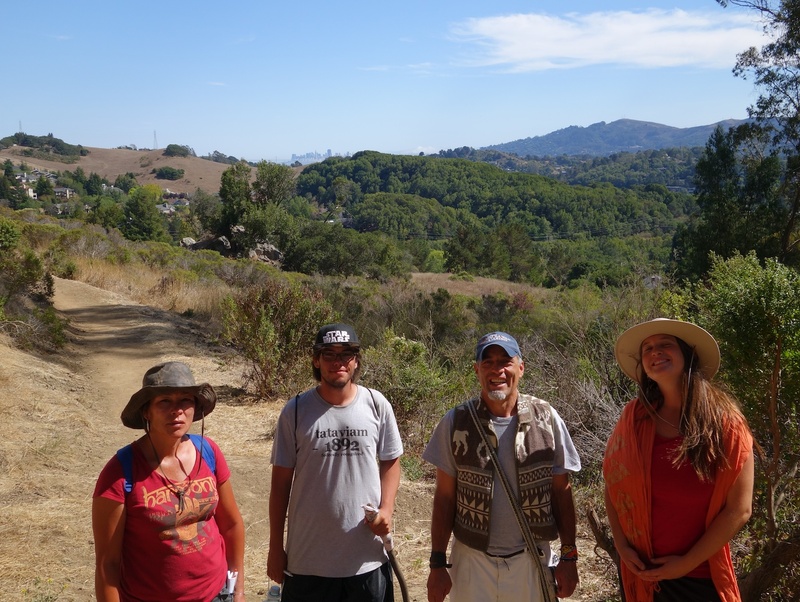 The walk through Coast Miwok territory from San Rafael to Sausalito was breathtakingly beautiful at times, as we crossed through marsh lands, Corte Madera Creek, and a series of forested ridges with sacred Mt Tamalpais towering above. 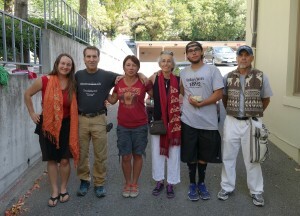 We were fortunate to be joined for the day’s walk by Sergio, a Mexica dancer from Santa Rosa who is also a Peace and Dignity Journeys runner. Also, Johnella Sanchez and Nancy Willis, organizers of the Shellmound Peace Walk, walked with us through Novato yesterday and brought their helpful advice and blessings. Click here for a list of email addresses. Thank you for all you are doing. I will share this account with my children’s school in Oakland, CA. The 8th grade teacher is receptive to this information as she is new and working on curriculum about the impact of European contact. Wishing you blessings and much power in this noble walk. We are homeschoolers learning CA history this year and striving for a true perspective. We are in the Salinas/Monterey/Carmel area and would love to support you in any way we can. I can get the word out to local homeschool group and utilize social media. Wishing you much peace and strengthened resolve during your pilgrimage. A 650 mile 780-mile pilgrimage to each of the 21 California Missions, to honor the Indigenous ancestors who suffered and perished in the Mission system and assert California Indian rejection of sainthood for Junipero Serra. 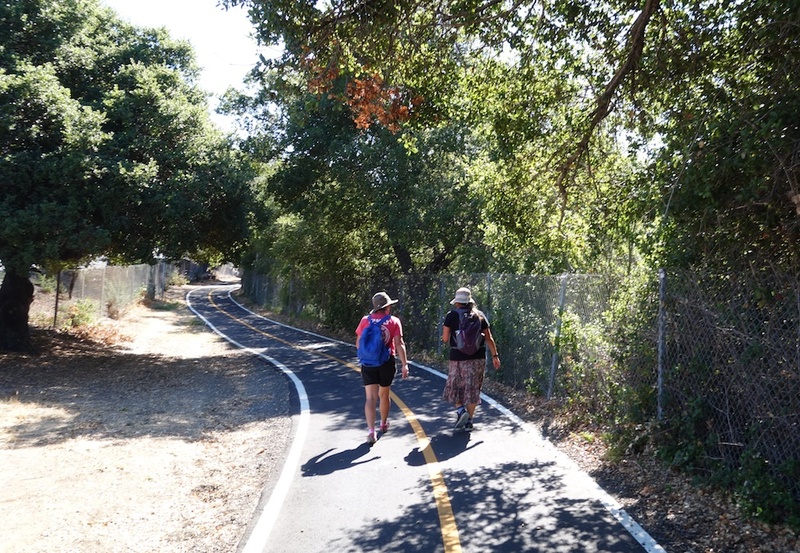 Click here—walkers, regional organizers, places to sleep, and meals needed!